From frozen bake in a pre-heated 350ºF convection oven for 12-13 minutes or until done. 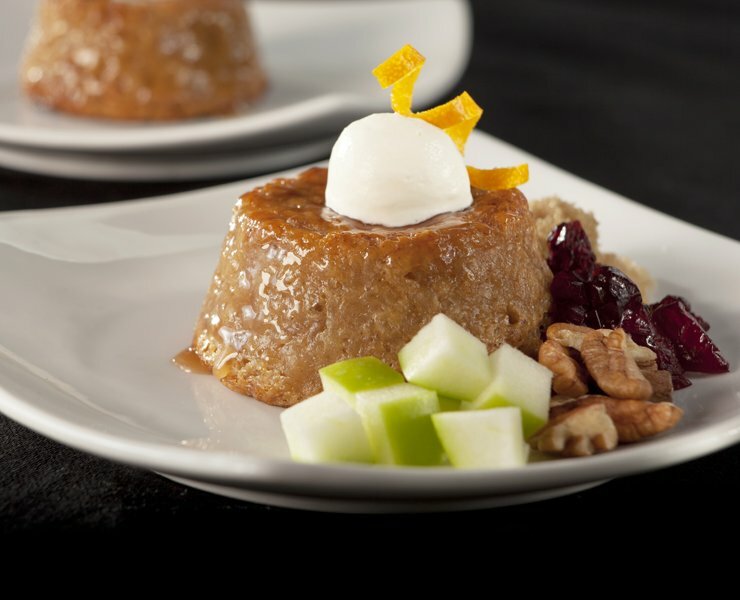 Kabobs’ Apple Cinnamon Oatmeal Flan offers versatility to a chef’s culinary arsenal, by providing dining guests with a remarkable gluten-free breakfast and /or dessert experience.Consisting of whole grain oats and Granny Smith apples, Kabobs’ Apple Cinnamon Oatmeal Flan provides all the warmth and rustic comfort of oatmeal, but with an upscale twist with a cylindrical shape and decadent flavor profile. Pairs perfectly with chopped apples, raisins, almonds, and heavy cream for an impressive breakfast / early AM break, or elegantly displayed with a drizzle of rum butter sauce and topped with a dollop of whipping cream, garnished with shavings of candied orange zest. Simple preparation. No thawing required. Our signature, handcrafted buttermilk biscuit, filled with gently folded eggs, Monterey Jack cheese, and sauteed leeks and wild mushrooms, folded in a crescent. Smoked chicken, tangy salsa and crushed chili peppers create a unique Tex-Mex beggar's purse.